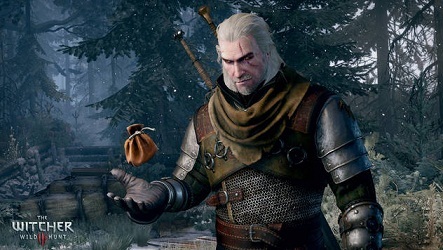 Where to find and how to use the powerful Magic Acorn in The Witcher 3: Wild Hunt! In this section of our complete guide to The Witcher 3: Wild Hunt we will show you where to find and how to use the Magic Acorn! The Magic Acorn can be found ransacking Imlerith's body after killing him on Mount Barren. After killing Imlerith a cutscene with Ciri where you take a moment while contemplating the landscape from the top of the mountain. After the conversation you choose to "STAY STILL A LITTLE '', reaching Ciri later. This gives you the opportunity to go back and search the body of the enemy to collect the Acorn. The Magic Acorn can be consumed as food was simple but you will instantly get 2 skill points. After collecting the Acorn, DON’T USE IT and start the descent of the Mount to talk to some people in the village. These will tell you that the 'Magic Tree has withered and its ancient power has now been lost. Provide the Acorn these people to be blessed and continue the mission. In this way initially it seems to have lost your valuable opportunity to gain skill points, however, coming back after a long time in this area (almost 30 days of game), you will be informed that due to the acorn was possible to plant a new tree and receive well 3 Magic Acorns for a total of 6 Skill Points. From everything I've read, the new tree threory has been debunked as a prank. You have video of giving the acorn, do you have video of getting the there new acorns?